There have been three main plantings along Camellia Walk. 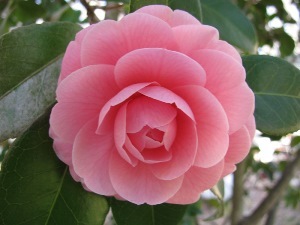 The original camellias were planted in 1905 – mainly old European varieties imported from England by local nurserymen. 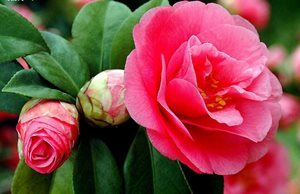 Unfortunately the names have long since been lost and even camellia growers are unable to name some of them, including a very unusual large pompom flowered tree. These plants have had several very severe prunings during their lives. The second planting took place in the late 1960s, with plants donated by Carter’s Nursery. These include Lady Vansittart, William Bull and Mary Christian. The last planting in the late 1970s comprised plants donated by the United States Department of Agriculture – Kramer’s Supreme, Ville de Nantes and Michael Jackson. The best time to view these camellias is from mid-June until the end of August. With the assistance of the KZN Camellia Society, pathways in this section have been paved and benches added. This is the most beautiful section during winter to spring, with flowers bright and colourful, providing the perfect backdrop for weddings and creating a sense of belonging for flower lovers. The most famous visitor to this section was President Paul Kruger, who planted a Camellia japonica in April 1891. From 1892 onwards the Garden provided flowers for exhibition at shows. Because of the beautiful flowers in this garden, and an attractive fragrance from surrounding Jasminum and Osmanthus fragrans inside this garden, and the azaleas forming a front hedge with a show of flowers of various colours, the pathway in between has been declared “The Lovers Lane”. 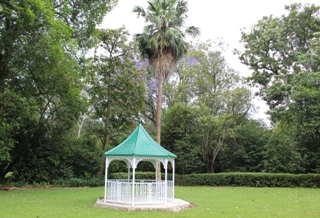 The latest addition to this area is a gazebo for a Wedding Garden. For more information about the Wedding Garden please contact Bathabile Ndlovu (Wedding Garden Project Manager) on +27 (0)33 344 3585.